Me: So, Mr. Allegri, how did it feel to go from 12th place Cagliari to come to Milan and win the Scudetto? Allegri: Yo, it was dope, man. My man G hooked me up with some sweet players, and all I had to do wuz sit back and enjoy the ride. Speaking of ride, how ‘bout that pimped out SUV of mine? You know it’s grenade proof? Me: Uhh, yes, it’s very nice. If you don’t mind my saying, I knew you were kind of laid back, but perhaps not this much. Did the players’ strike dampen your plans? 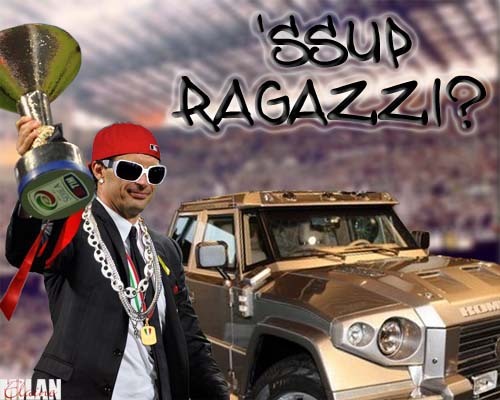 Allegri: Foshizzle. My boyz wuz hungry, we wanted to get us a piece of that Cagliari. You know I used to pimp that? Speaking of pimpin’, you work for anyone? Me: So, ummm, Mr. Allegri, not a lot of people know that you were a player yourself. What can you tell me about your playing career? Allegri: Well, I played in the midfield and started with the lower league clubs, including Livorno, where I am from. My break though was when I joined Pescara in 1991. We won promotion to Serie A that season and later I was able to play for Cagliari, Perugia, and Napoli. I moved around a lot, but I was pleased with my career. I retired in 2003. Me: Your coaching career kind of echoes your playing career, only now that you’ve won the Scudetto, I think you will be known more for you managing, yes? Allegri: Perhaps. I started off coaching the team I had retired from, Aglianese, the year after I stopped playing. They were in Serie C2. I worked my way up through the small clubs until in 2008, I was lucky enough to be hired on at Cagliari. Me: Speaking of Cagliari, you won the “Panchina d’Oro” (Golden Bench) award for the job you did at Cagliari in ’08-’09. For those who don’t know, that is the award voted on by all of the other coaches in Serie A and given to the one chosen as the best. So you certainly won the respect of your peers, in addition to bringing Cagliari up to 9th place with very few quality players, am I right? Allegri: You are too kind. I think the other coaches voted for me because they knew I was working for Cellino, which is no easy feat! But despite doing so well and being honored by my peers, I was sacked in April of 2010. That man sure likes to keep his managers moving along. But it was an honor to be voted the best coach, it gave me confidence. Me: Well, and Cellino’s sacking did allow you to be available for Milan. Did you ever dream of coaching such a big club? 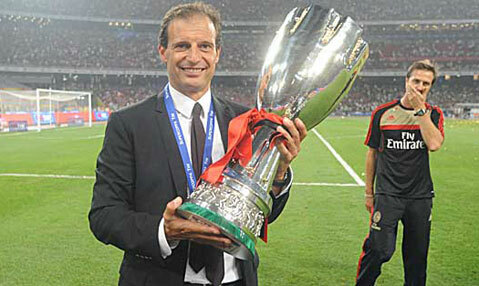 Allegri: Certainly, but it was just a dream. I was humbled to be chosen, but right away I established a good relationship with Messrs. Berlusconi and Galliani. We shared common goals, but I knew I couldn't do it alone. They have been great about letting me help make decisions on players, and I speak to them both regularly. Me: And now you are a Scudetto and Supercoppa winning coach. How is it to manage such big stars with such big egos? Allegri: The players are all there for the right reasons, and we all get along like family. Well, I don’t know of too many families who kick each other like Ibra, but he is a very good guy and a great mentor to the younger players. Really, they have made my job very easy. It is great to have earned such success in my first year at the club, but I cannot take credit for it, nor do I take it lightly. I expect this year will be even more difficult. Me: We are running out of time, but I wanted to ask about your predictions for this season - how do you think Milan will do in the league and in Champions League? Allegri: I believe we can compete for the Scudetto, even if our competition have all improved their squads. As for the Champions League, of course I would like to win it. But realistically, I know we can make the quarterfinals with the squad we have. It will be tough, and I hope the squad stay healthy. Me: What is the best thing about having won the Scudetto? 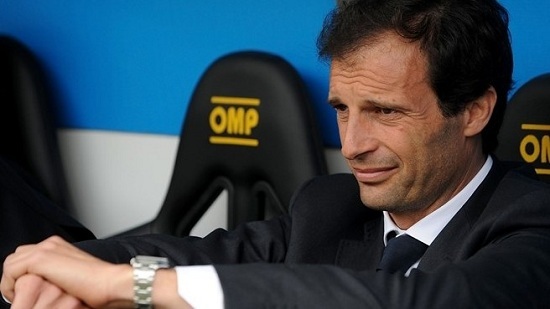 Allegri: It is a lot easier to get dates! Me: Thank you for your time today, Mr. Allegri. I am a big fan, and am excited to see Milan grow even more this year under your direction. Thank you. This post inspired by the music of Snoop Dogg and Andrea Bocelli.